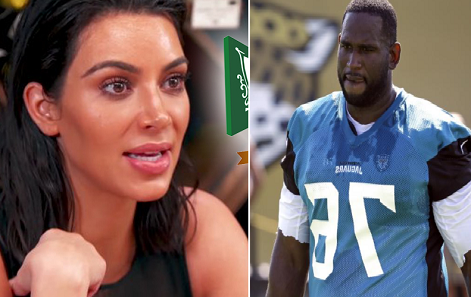 Ex-NFL lineman Branden Albert is living proof "Keeping Up with the Kardashians" is actually good for humanity, because the show inspired him to give a million bucks to a great cause. The 2-time Pro Bowler, who played for the Chiefs and Dolphins, says he happened to catch a glimpse of a 'KUWTK' episode a couple months ago where Kim Kardashian was visiting Alexandria House, a shelter for homeless women and kids in L.A.
Branden says Alexandria House's mission really hit home for him because he grew up in a single-parent home where his mom and aunt worked many jobs to make ends meet. So, he decided to donate $1 million to them at the end of 2017 in honor of his mom, who died 5 years ago from pancreatic cancer. Atleast KUWKT produced one positive thing, loool.